On her blog, my friend and mentor Joy has been pulling a Tarot card each day, seeing how the day relates to the card (rather than let the card relate to the day as we do in the #PeaceTarot exercise) then she blogs what happened during her day that resonated with the card…in essence defining the card’s meaning by her unique daily experience. Not only is every person unique, each day is unique. To go a little Zombie Cat on it, each day is a different place in time, a different multi-dimensional address if you will. You may be sitting in the same chair, sipping from the same coffee mug as yesterday, but you are at a different point in your personal time line. Even if you are interacting with the cards on a personal basis, even if you get the same card again, the different place in time can lend a slightly different energy and spin to the card’s meaning. Even if you look at the possible day-to-day interpretations of a card, if you combine that with the all the time-driven possibilities (like Joy’s personal day meanings) you can get a near infinite supply of card meanings. Now multiply that by all the card readers in the world. Seems almost overwhelming doesn’t it? Kind of begs the question of how, given that intimate time-card-personal experience connection how on earth can a general one-size-fits-all blog post reading be any bit helpful to another person? The answer is that it doesn’t fit all…it doesn’t resonate with everyone. I know that. You know that. If a post resonates with you…awesome! If not, that’s ok too. 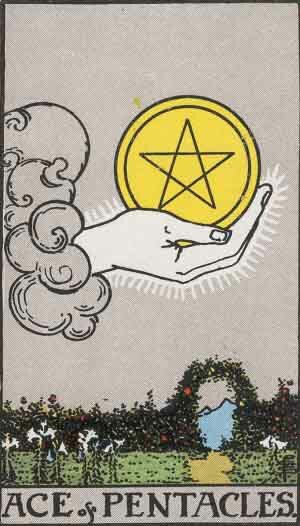 There is always another day, another card. We the reader/bloggers tend to get as much out of it as readers do (maybe more) but we approach it with the notion of helping as best as the medium and situation allows. In other words, broad media like blogs may not help everyone, but if it helps even one, then the effort was worth it…. Coming soon: One is a magical number. Next Post Many Thanks – wow!